Educational Headphone Plug Types - Headsets Direct, Inc.
Educational Headphone plug types can connect to computers, PC’s, tablets and other audio devices in many different ways. This is a good thing giving you flexibility, but can be confusing if you don’t know the differences. It’s critical to determine the compatibility of your device or PC before purchasing headphones. You will also need to discuss with lab instructors or teachers if a microphone is required for the applications they plan on using. This will effect the plug types you need to consider when you start narrowing your choices of headphones. The following sections will easily explain the different plug types and most common uses. 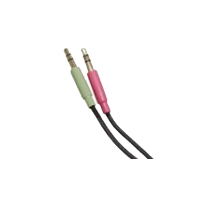 The single 3.5mm jack (Shown above in teal) for educational headphones is the most common on newer audio devices. This device has (3) plastic rings that separate (4) points of contact. This allows you to have true stereo audio with different sounds in the right and left speaker and microphone capabilities. 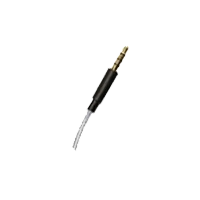 The majority of tablets and many computers have this single 3.5mm headphone jack that allows you to simply plug-in and use. A solution for listening and talking like online assessment testing. The dual 3.5mm plug (Shown above in blue) for educational headphones has been around for many years. It’s typicality found on computers and plugs directly into your sound board card. It’s important to plug the microphone and speaker plug into the matching jacks on your computer for proper connectivity. A USB connector (shown above in green) is short for “universal serial bus”, and is used for connecting to a computer port. Many items that you use on a computer, for instance; your keyboard, a mouse, and a printer, are plugged into your computer with a USB connector. Educational headphones that use a USB connection generally are plug-and-play devices, meaning once plugged in, your computer downloads and activates the appropriate drivers. Once finished, your headphone is typically set as your new audio source. The advantage of USB is new features may be available with driver updates as they become available. This connection is similar to the TRRS, except without microphone capabilities. Educational headphones with this plug are for listening only. When looking at the plug, you will see. (2) plastic rings that separate (3) contacts. Take away: Make sure you know exactly what educational headphone plug types you need before ordering to avoid frustration.